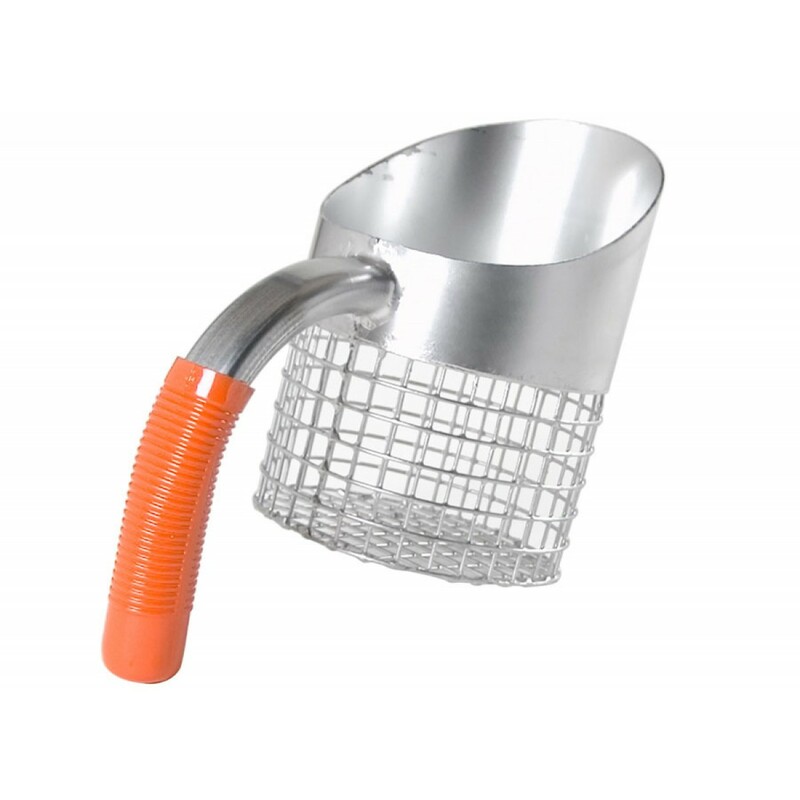 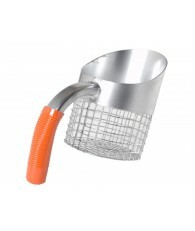 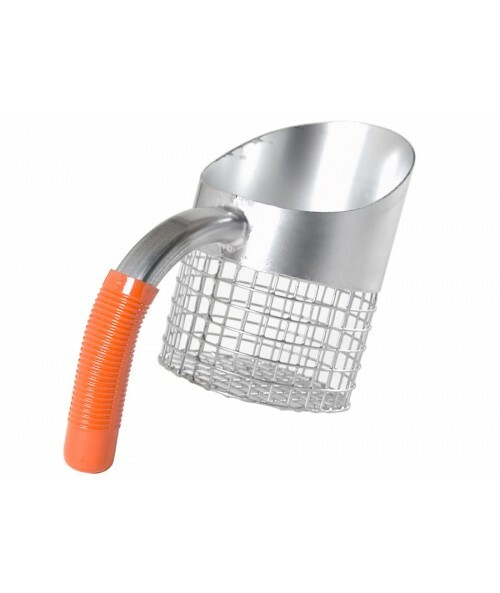 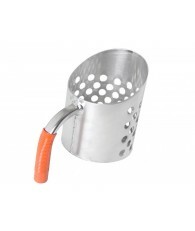 This beach scoop features all welded construction, has a 5" diameter basket, is made of 16 gauge steel tubing and has an angled cutting lip.The handle is made of 3/4" galvanized conduit. 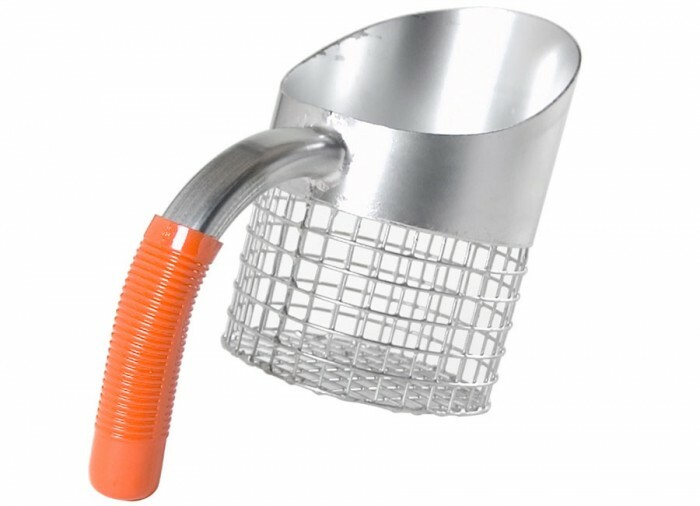 A rubber hand grip is attached to the handle for comfort. 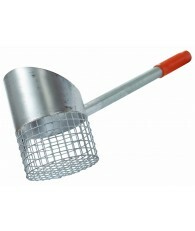 An excellent scoop in both wet and dry sand. 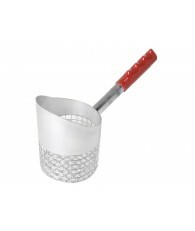 Made in the U.S.A. *Includes a manufacturer 90 day limited warranty.